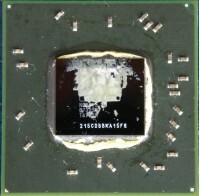 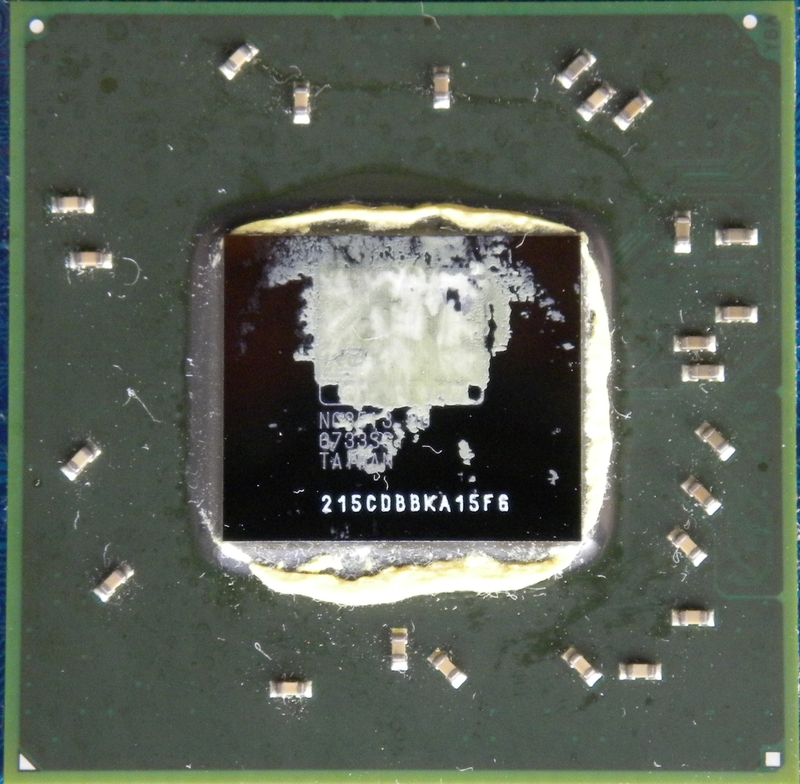 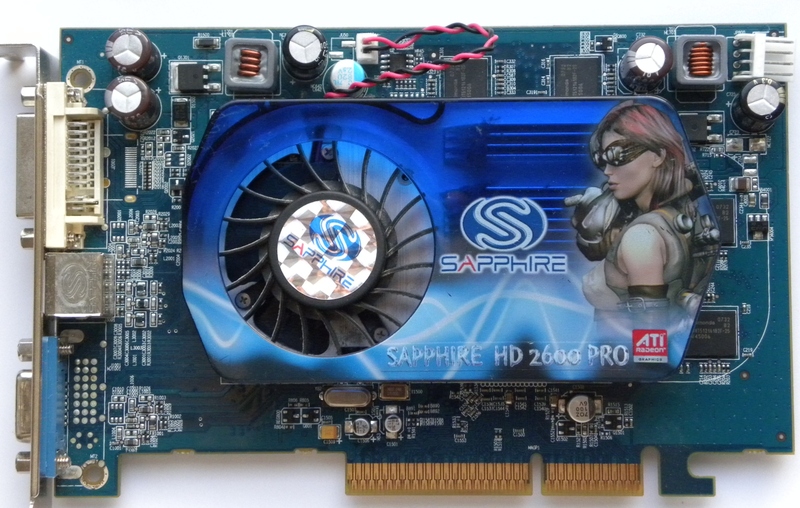 DDR2 versions have lower clocked memory to 1000MHz, GDDR3 variants are clocked to 1400MHz. 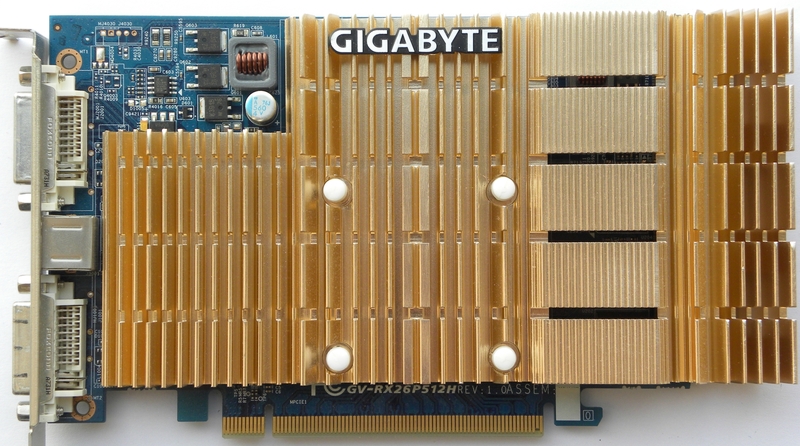 Gigabyte GV-RX26P512H - passive cooled version, memory is downclocked to 800MHz. 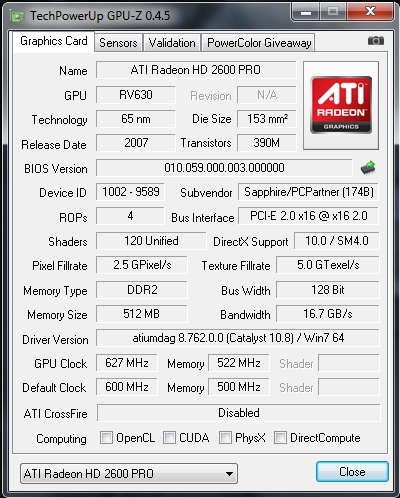 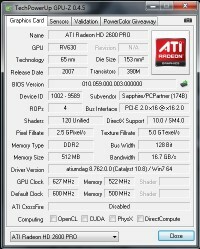 Sapphire Radeon HD2600 Pro PCI-E - This card has increased clocks, GPU is ticking on 630MHz and memory chips on 1100MHz. 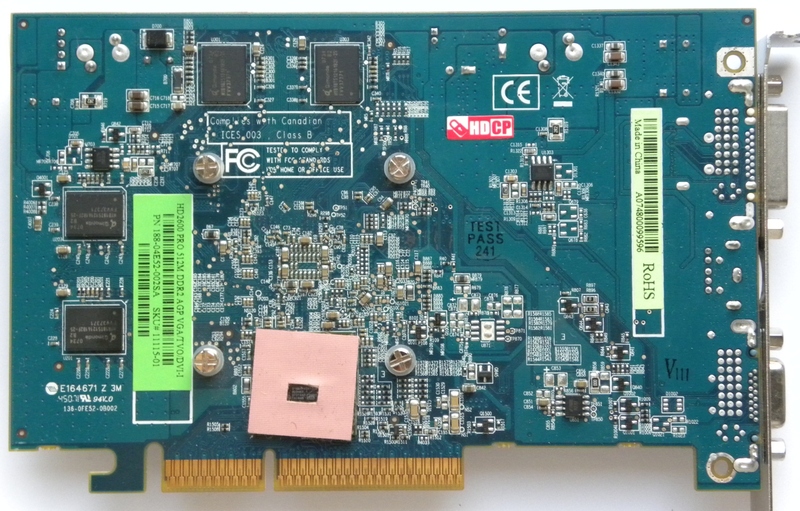 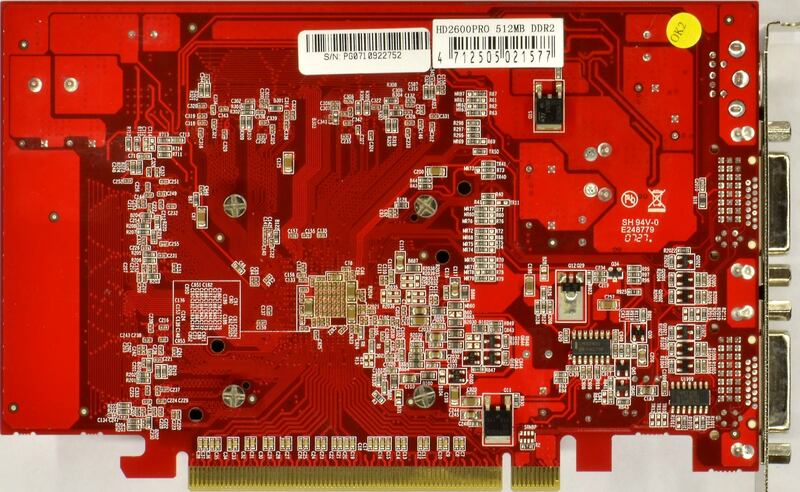 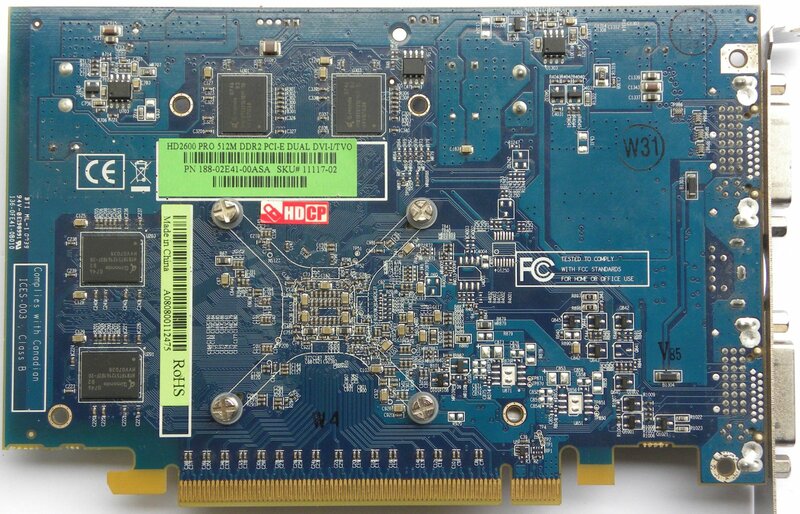 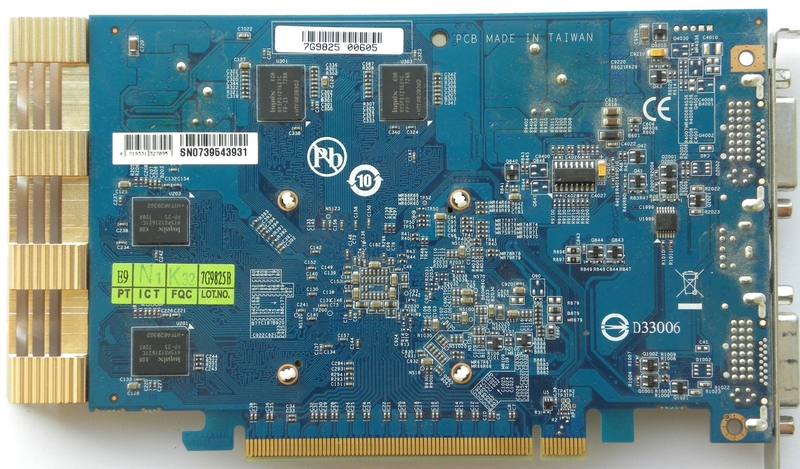 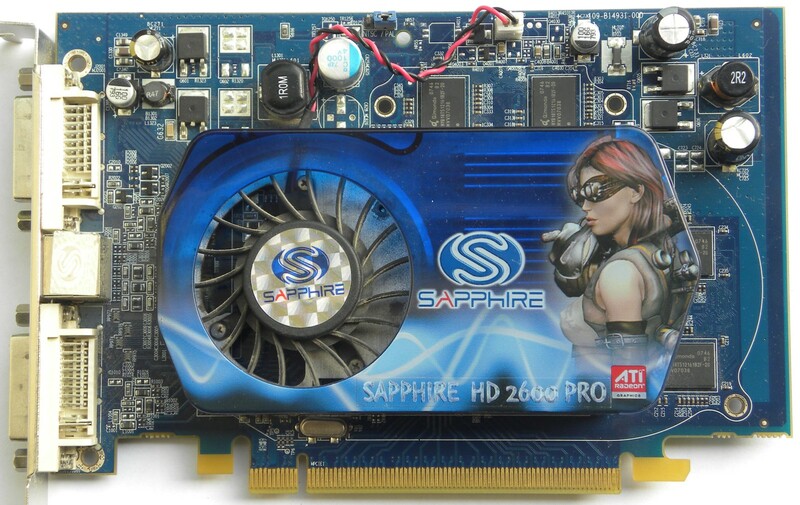 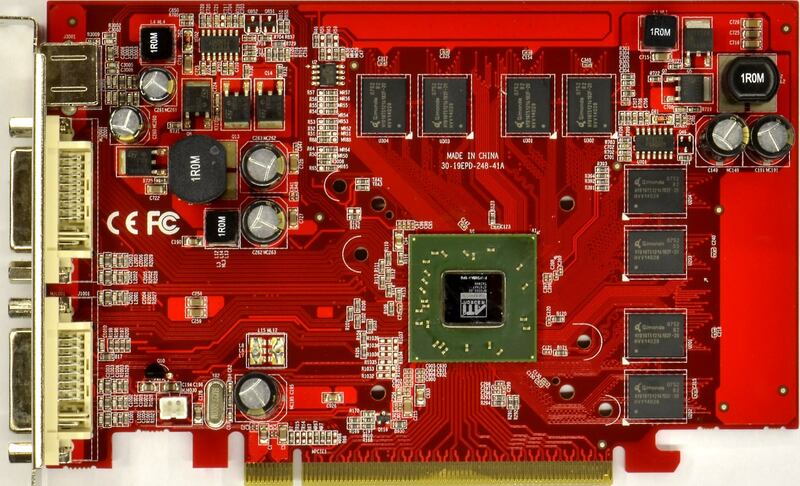 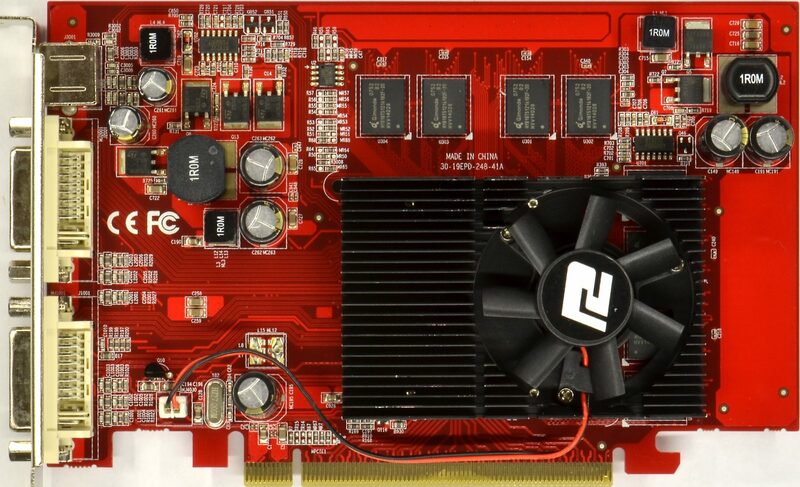 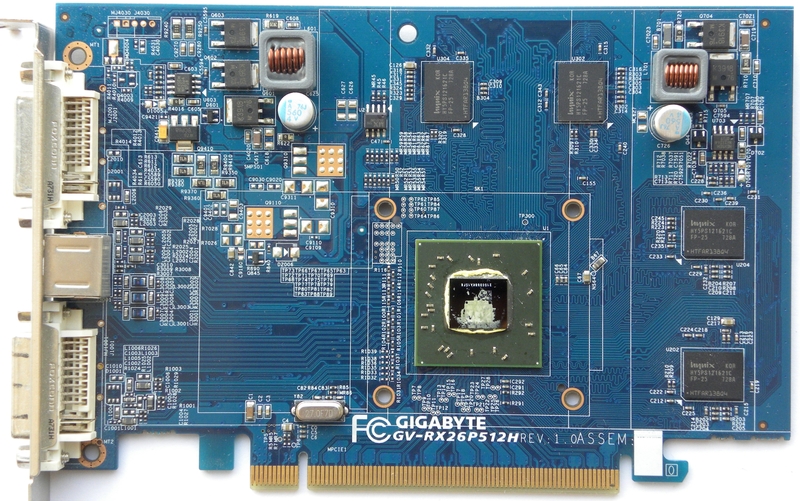 Sapphire Radeon HD2600 Pro AGP - Notice PCI-E to AGP bridge on back side of card.